I don’t know if Americans know what is going on all over Europe but they NEED to. If liberals want to keep bringing Muslim migrants into this country, we would end up exactly like Europe — overrun with fear. We need to wake up and quite just standing there and watching! It seems part of Europe started to wake up but let’s hope that it’s not too late! 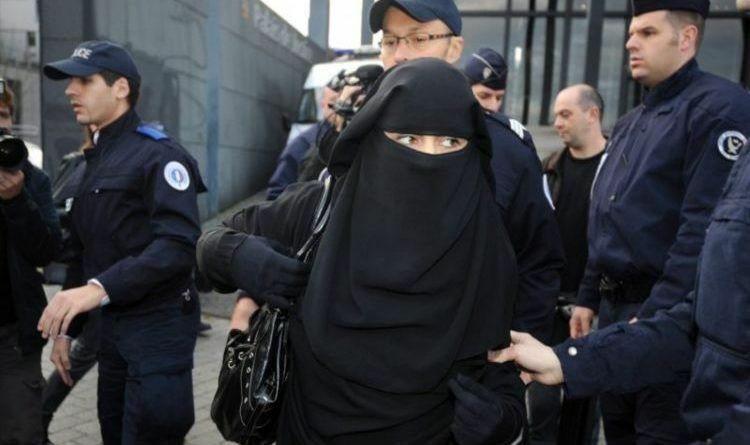 A French court has handed a woman a six-month prison sentence for refusing a police officer’s request that she remove her niqab. The decision has sparked outrage in the French Muslim community. Muslim Rioters throughout France took to the streets and began to attack police, ambulances and non-Muslim citizens. They set fire to cars, trees, garbage cans. Muslims in France claim they are being oppressed by the government. France targets the Muslim community in an attempt to preserve its culture. It seems that we are still far behind with our laws on this matter. Three Muslim women sued the NYPD for forcing them to remove their hijabs for mugshots. Now, New York City will have to pay out $180,000 to these women after forcing them to take off their hijabs for mugshots. The New York Daily News reported that each woman settled for $60,000. The lawsuits, which sought to change the NYPD’s policy on Muslim women refusing to wear their head coverings in mugshot photos, were settled in Brooklyn federal court Monday. The cases date back as far as 2012 when a Brooklyn high school girl identified as “G.E.” was arrested after a scuffle with two girls she thought were spreading rumors about her. The criminal case was dismissed, but it was the initial mug shots that mattered in the civil rights case that followed. G.E. was initially brought to a local police station and was told to take off her hijab. After she refused, she was taken to a secluded room where a female police officer took her photo outside the presence of any men. Via Fox News: “But at Brooklyn Central Booking the police could not accommodate the girl’s religious needs, telling her that there were not any female officers available and that the camera is in a fixed spot, thus the mugshot could not be taken in a private room. The girl alleged that a male officer then took her photo without a hijab, making her feel “exposed, violated and distraught” as she was forced to be without the Islamic garb for 20 minutes while male officers and prisoners looked at her. Two other cases were filed in 2015 and 2016 by G.E.’s lawyer, Tahanie Aboushi, and involved a similar situation. One woman claims to have been forced to remove her veil at Brooklyn Central Booking police station and was denied a female photographer. Another accuser said her hijab was removed at the scene of her arrest. Aboushi told the Daily News on Tuesday that the police department issued additional policies regarding religious headwear in December 2017. In the event Muslims are arrested, their photo will be taken during the processing stage. Yes, the “hijab” will come off. Don’t want to comply? Then don’t break the law and get arrested…Get paid for having the hijab removed during processing? Ridiculous! Hijab is not a religious right, it is a form of religious oppression. Unfortunately, the taxpayers in New York had to pay this $180,000. Therefore America must stop caving to Muslim people demands or tolerate their expectations of special treatment any longer. The point is, nobody is special, so either get used to it or don’t come here at all!